So, to follow up in case anyone wants to know, I did disassemble the carb & put it back together. I believe I found a small clog in one of the jets, which I blew out with air. Unfortunately, that didn't resolve the problem. A trip to the shop concluded with replacement of the CDI. Everything's groovy now. I am about to do this project, and was re-reading this whole thread and noticed someone said something about Long beach. I hadn't even noticed the writer of the post (you) is named Long Beach. 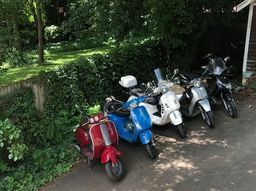 Well, I am both a recent newcomer to both Long Beach AND Vespas. I would love: 1) any advice on this Italian thingy. 2) to ride sometime IF I ever get this thing running correctly. I have been a BMW rider for the past 9 years, but finances have forced me to try more affordable modes of transpo. I recently got an ET4 150 for what I thought was a good deal. It ran great at day of pick up, but I proceeded in my ignorance to top off the tank several times over the next few days. I also found the evap hose disconnected and thought I was fixing it by putting it back where it is supposed to go. I now have severe hesitation, and misfiring. I have found and read, but do not fully understand the blue key / red key CDI thing. It feels to me like a spark issue, and the CDI might be the problem, but how could overfilling cause that? 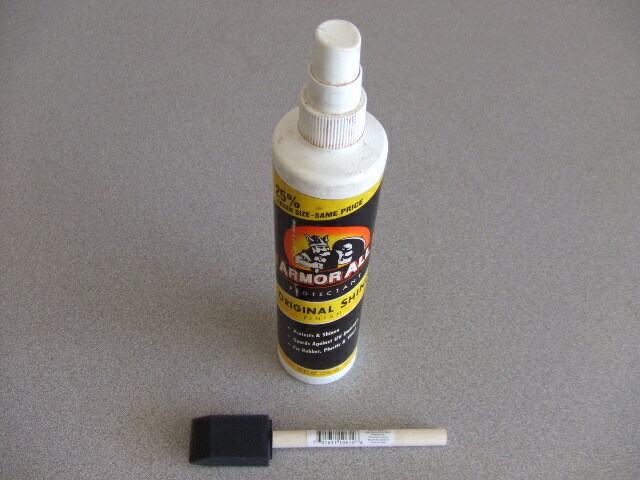 I have removed the charcoal can and it did not contain any wet gas, and hardly any gas vapors. I managed to get a new spark plug in. It starts easily, but misfires with throttle. After a few minutes running it usually begins firing smoothly and consistently if I give it just a little throttle. If I twist it, it misfires badly and lunges and flattens, lunges and flattens. No fun. The first day, before filling up, it ran great on the highway, 65 on flats, 70 downhill, 55 up hills. Now I can only achieve 60 if I hold a tuck (no bueno), and concentrate on finding that sweet spot on the throttle where the spark or the carb work best. I know now that I overfilled it several times, but taking the evap hose back off has done nothing to improve it. Could overfilling contribute to jets becoming clogged? I will go ahead with the carb cleaning if for no other reason than to rule it out as the culprit, but I have little hope. it really feels like a spark issue to me. This a good thread to follow when I change to the larger jet in my LX150. Thanks! Thanks for all the very helpful information. Supplemental suggestion . 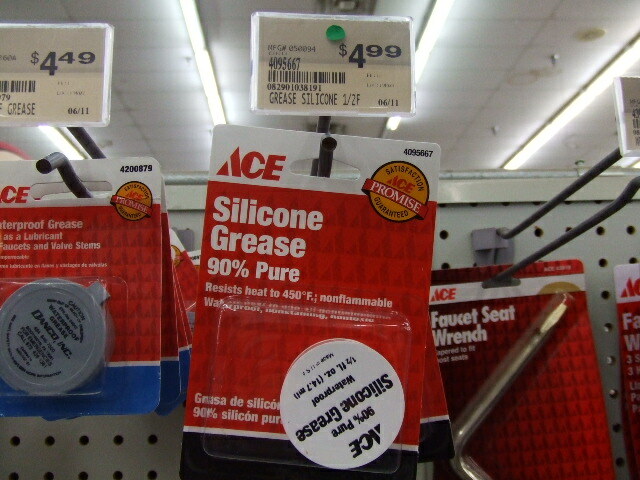 . .
Scrape/file any carb outlet casting bumps and lightly smear some silicone grease (Ace Hardware plumbing department) on the carb and rubber intake manifold join surfaces to deter vacuum leaks . . do NOT use RTV silicone sealer. To maintain rubber suppleness, spray some Armor All (or similar product) on a foam craft brush and apply to rubber CV carb diaphragm, intake manifold exterior, and tire valve stems . . DO NOT APPLY ON TIRES OR SEAT! 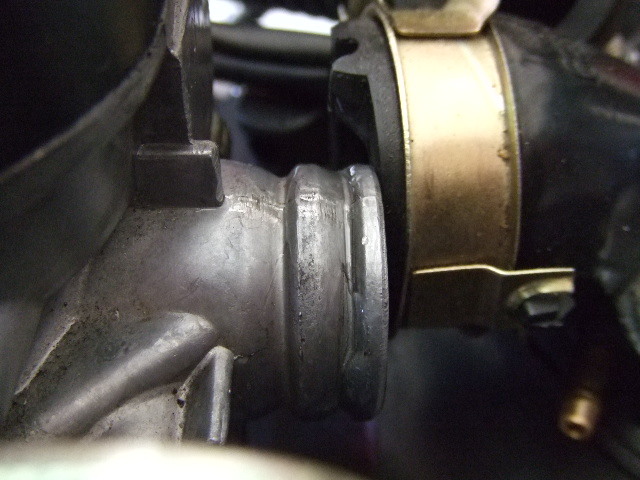 I was not able to remove any of the screws in step #6 (my 2006 carb has 4) either with a screwdriver or pliers. Either way I chew the metal. This is after spraying with PB and letting it sit for several minutes. Ridiculous. I have removed the carb and still cant get any of the screws off. 1) Seafoam is good for your engine - NO! heavy duty solvents etc. avoid. thanks for the detailed instructions. she runs like a top now. it would have taken like 15 min if it were not for those pesky screws on the bottom. that took like an hour. Very well done. This article gave me the kickstart to clean my jets today. Previous poster I correct, this is the second time i semi stripped the screws taking precautions to not do so. The mechanic shop over tightens I think on purpose , so I went to the hardware store and got the proper sized screws with a deeper head so this won't happen again. That's my two cents to those who want to work on their own carbs. I had to clean the jet again. It wouldn't start after sitting for a few days. I suspect the extra seafoam I added before attempting to clean the jet is what caused it to clog again. One question is how large is the opening supposed to be. When it's "clean" I can only see a pinprick of light. I have not been able to find a wire or needle small enough to run completely thru. Is the jet tapered on the inside as compared to the two openings on the end? Just a quick note to say thank you for the great tutorial! I'm a recent new Vespa owner. Just bought a 07 with 300 miles. Would not start. changed the gas and cleaned the jets and I'm off and running. VERY helpful! What about the jet itself? Excellent article. i had the same issue/complaints/successes as most people here when I did my 2007 LX50. 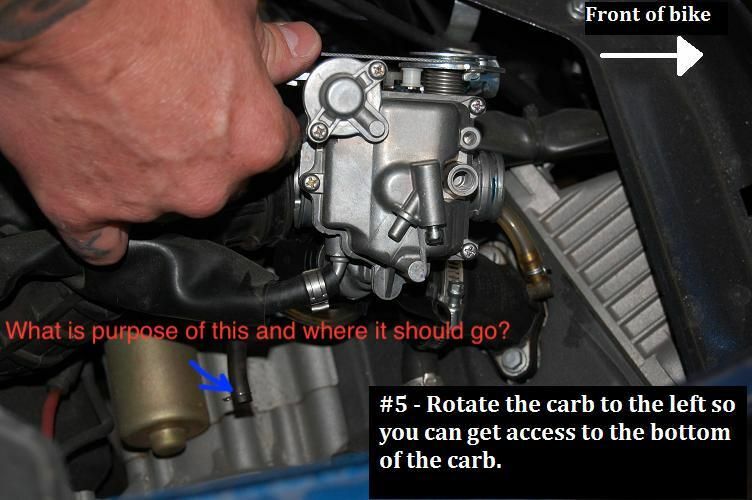 My carb/jet was 100% identical to all steps and pictures in the original posting. I found a wire thin enough to fit into the top and bottom openings of the jet, but it would not slide all the way through the jet. However, if I blew air though the jet, it would come out the other end of the jet, as well as the tiny holes on the SIDE of the jet. My question: SHOULD i be able to push a small enough wire all the way through the jet OR is the jet designed in such a way that gas/air can pass through it, but there is some type of internal design to thwart a wire going through it? Even though i couldn't get a wire through it, i'm back and running beautifully. Thanks, I followed the instructions exactly as pictured, it took about an hour although 1/2 of that was going the auto supply store to buy the cleaner. Thanks very much, this was really, really helpful and easy to do by following your instructions. I just wanted to add my thanks - I was intimidated a little but followed the photos/directions and it worked great. After using the carb cleaner on the jet a bunch of times I still couldn't see any light and I didn't have an air compressor but I blew through the jet and it cleared up. Thanks for this, followed on my lx125 and it's made a nice difference, particularly to the idle. I did strip 2 of the screws and needed to mole grip them out, they went back in fine but I will replace them if I can find the right parts next time I do the job. My idle screw seemed to need a slight tweak after but it runs great now. Tomorrow i'll be adjusting the valve clearances! Going to give my 2009 S50 a cleaning over the weekend. While doing my research about the process, I have noticed there are different carb jet sizes. (i.e. Sizes: 72, 75, 78, 80, 85, 90, 95, 100, 105 & 110) Does it make sense to change to a different size for basic performance issues while I'm in there or simply clean original jet and leave it be? (They are fairly inexpensive.) If so, what size would you recommend? Thanks for advice! Jet size is matched to engine demand. You cannot gain performance by swapping in a different size jet unless the original jet was the wrong size, or if you make airbox, displacement or exhaust changes. Cleaning jets is easy enough, and they don't really "wear out" but if it's too messy or too much trouble you can simply replace it with another of the same size. Not sure if this is of any use (and sorry about the audio), but this is me cleaning and rejetting my two stroke Vespa carburettor. For those of you stripping screws here is a piece of information. The screws on the Keihin carbs are Japanese and have a slightly different screw. Either get a set of JIS screw drivers from Amazon or file the tip down on your regular Phillips head and you’ll have no problems with your carb screws or brake reservoir covers. What is purpose of this hose?